Vectus this is unit from a family of devices, intended for moving and positioning, developed by engineers of NST. The device is a monolithic metallic body (made of quality alloy, usually aluminum) in which the EDM and other precision machining techniques formed a channel for a piezoceramic actuator, the movable components shifts, etc. This design provides excellent linearity of movement. 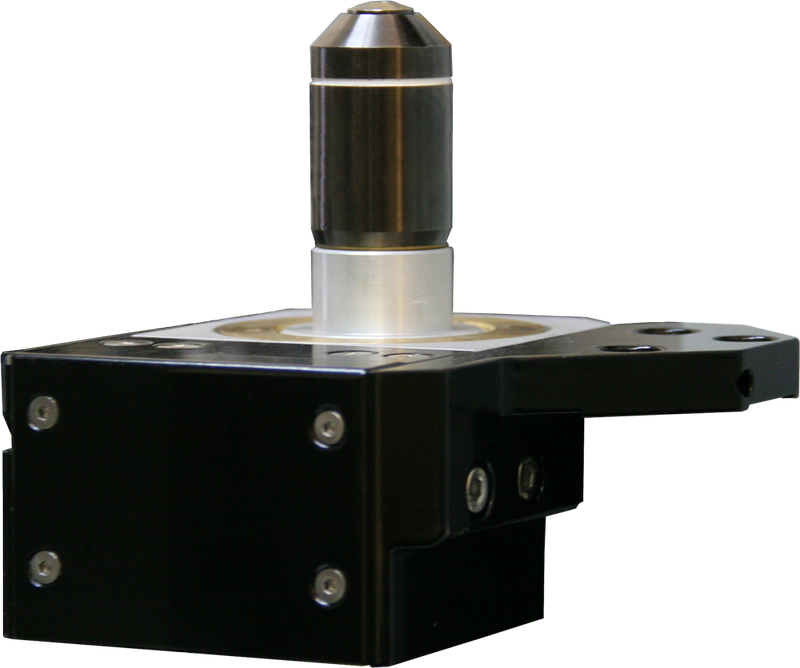 Z-objective nanofocusing stage is designed for moving and positioning along a single axis. 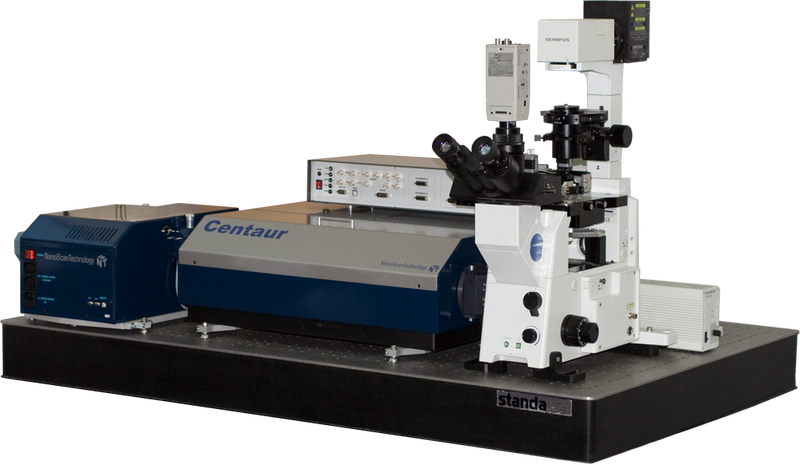 In particular, to move the lens along the optical axis for focus position change with respect to the sample surfaces or objects in the sample. 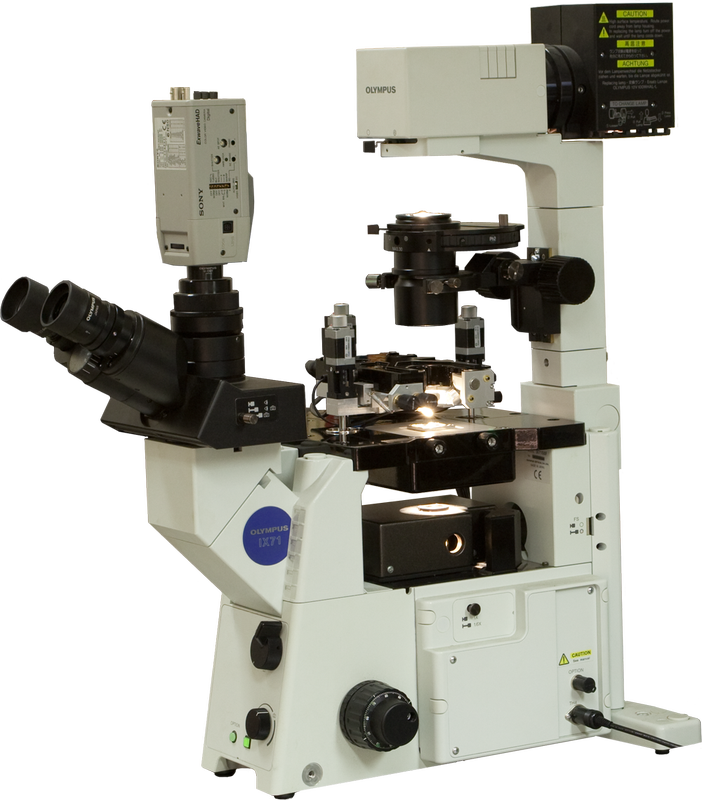 Moreover, such advances are a crucial element in 3D confocal microscope. Combined with XY stage, working in the plane XY, such systems allow to obtain a full three-dimensional confocal images of various objects. However, the, the use of this device is not limited by only movement of lenses of microscopes. 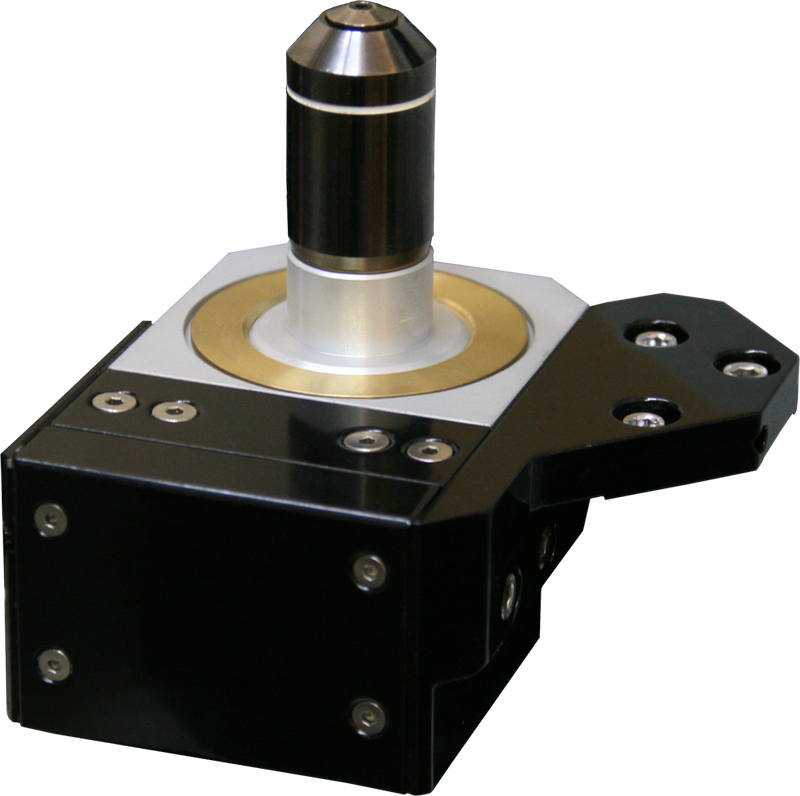 You can use it for moving and positioning with high precision of different functional elements of the research facilities and scientific instrumentation. 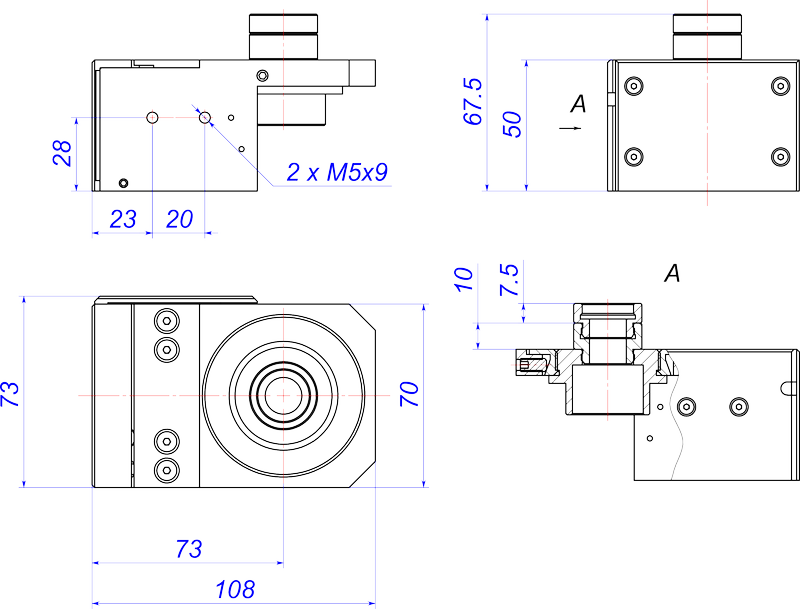 In this case, the movement can be carried out either manually or by a special program, including position sensor with PID controller. 1D translator Vectus is equipped with capacitive sensor, which is included to the chain of digital feedback, to keep position constant This provides high accuracy and linearity of movement, eliminates the effects of drift (creep) piezoceramics. TDC chip (time-to-digital conversions), measures the capacitance sensor, which is located as close to the sensor and produces a digital signal proportional to the measured capacitance. This minimizes the influence of external electromagnetic noise, and long cable for connection shifts to the controller can be used. 1D translator Vectus is running with specialized controller EG-1000 or universal controller EG-3000 and software NSpec. Vectus can be used in various research&development projects.